Tuesday, Apr. 23, 2019, 12:30 – 1:20 p.m. Interested in getting connected to fellow students pursuing a career in the legal field? 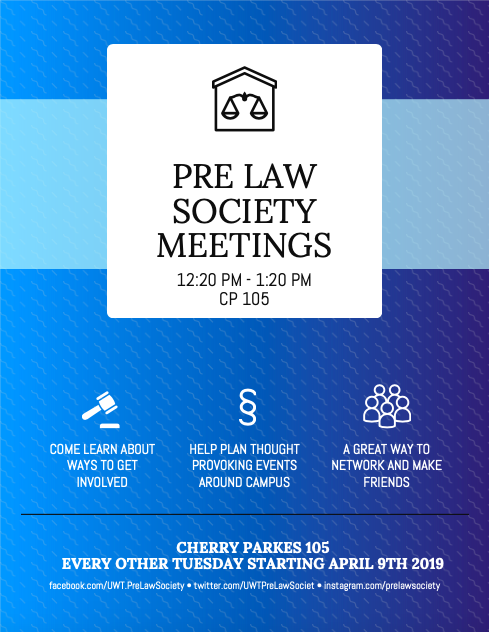 Come check out a Pre-Law Society meeting! Find Support, Make Friends, Have Fun!